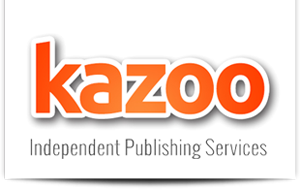 Kazoo packages are based on industry standards to ensure that your book can compete on the bookshelf with traditionally published books. B format (198 mm x 128 mm) is the most popular size for a commercial paperback. We quote for each book individually, taking into account the length (word count) and your particular requirements. We can also quote for larger paperback sizes and picture books. All books are printed in black on cream paper unless you require white paper. We use high-quality paper and our covers are durable and long lasting. Paper weight: 80 gsm offset (cream). Cover weight: 240 gsm standard cover board with a gloss laminate finish. There are two ePublishing formats. The first is mobi, which is used exclusively by Amazon. The ePub format is used by all other eBook retailers, e.g. the iBookstore, Kobo etc. We have a highly skilled and experienced book-cover design team. To enable them to do a great job we ask you to complete a full brief for your cover. We want your cover to compete successfully within its genre. Our designers will work with you to achieve this, suggesting stock imagery and fonts that will give your book the best possible advantage in the market.